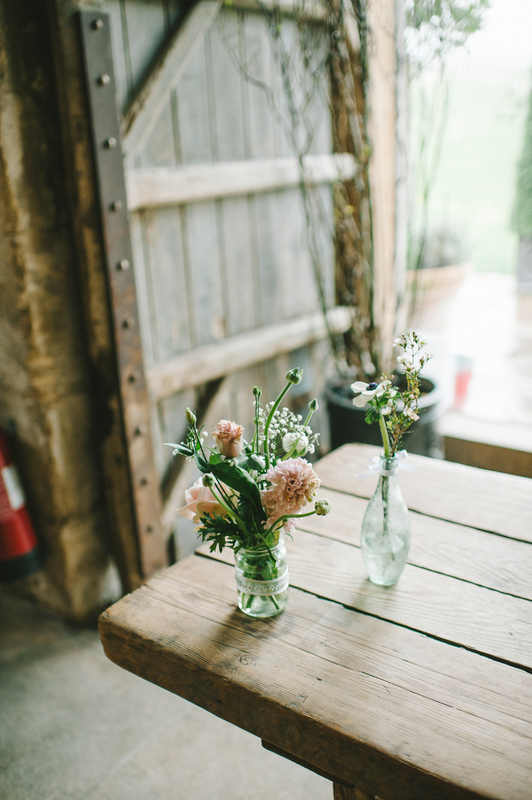 A Modern And Elegant Wedding At Stone Barn In The Cotswolds With A Grey And Navy Polka Dot Colour Theme And A Charlie Brear Dress With Gypsophila Balls By Ellie Gillard Photography. 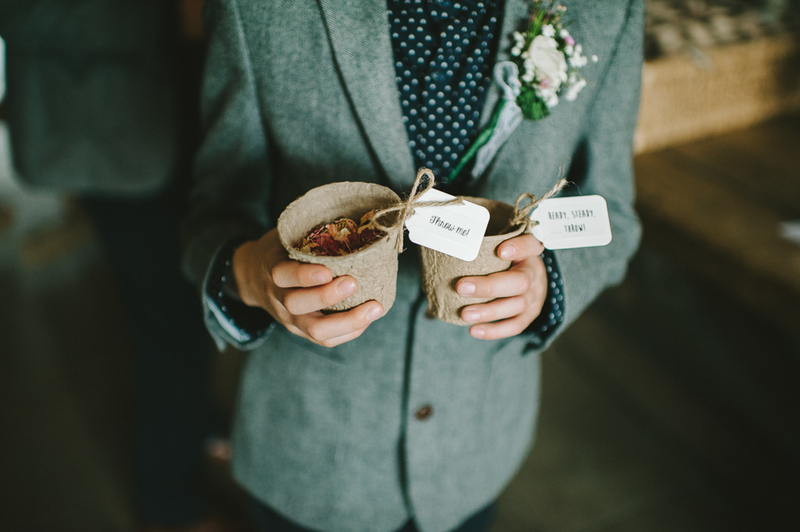 Polka Dots And Navy At Stone Barn. 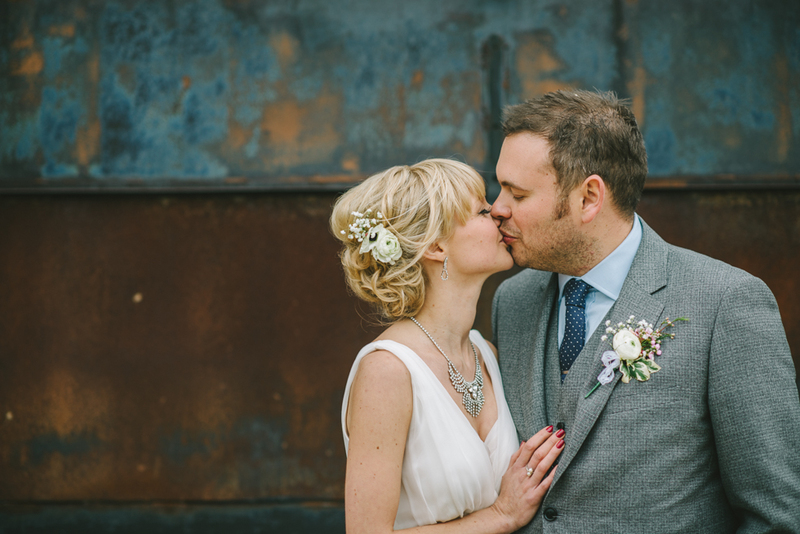 Ross and Nik’s big day at Stone Barn is a real sweet treat of a wedding for you lovelies this morning. 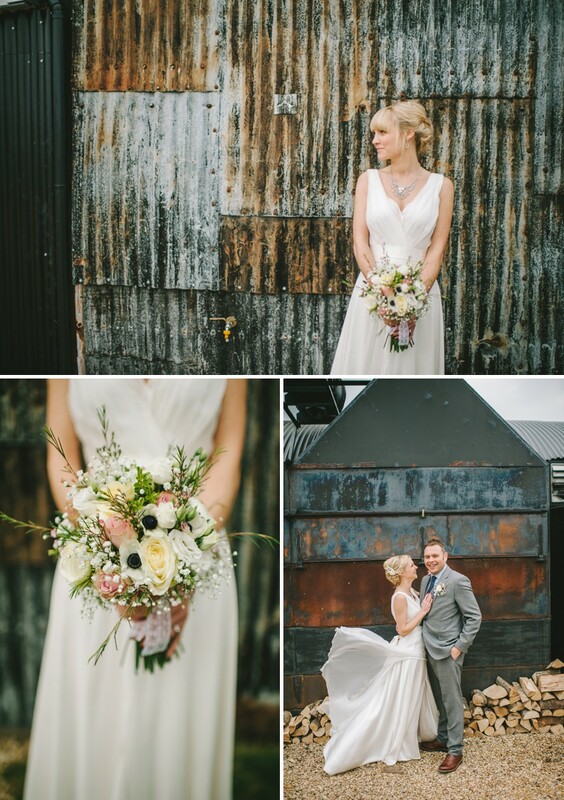 Bursting at the seams with elegance and thoughtful details I’m positive that you’re going to love this modern “I Do” with its neutral colour scheme amidst splashes of polka dots. 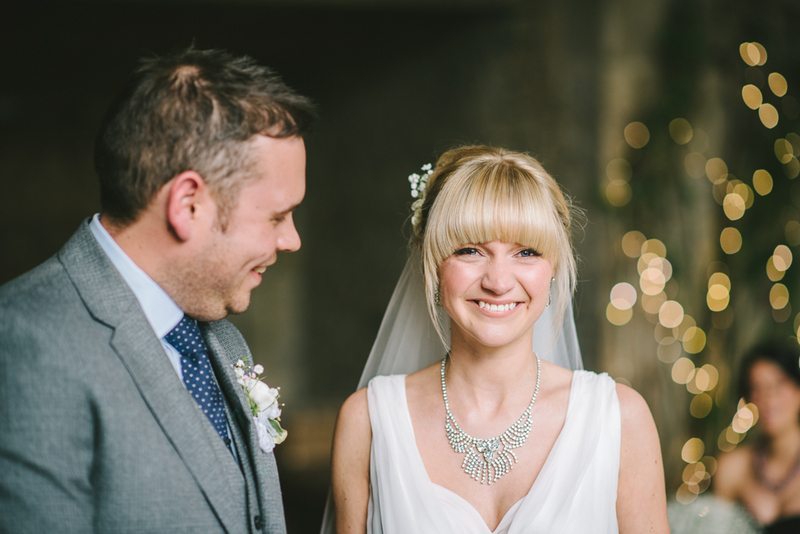 I’m not sure that I’ve seen a bride who is A) smiles as much as Nik does and B) carries off a fringe with such aplomb but she does both in spades. And that’s not the only thing she does so well. 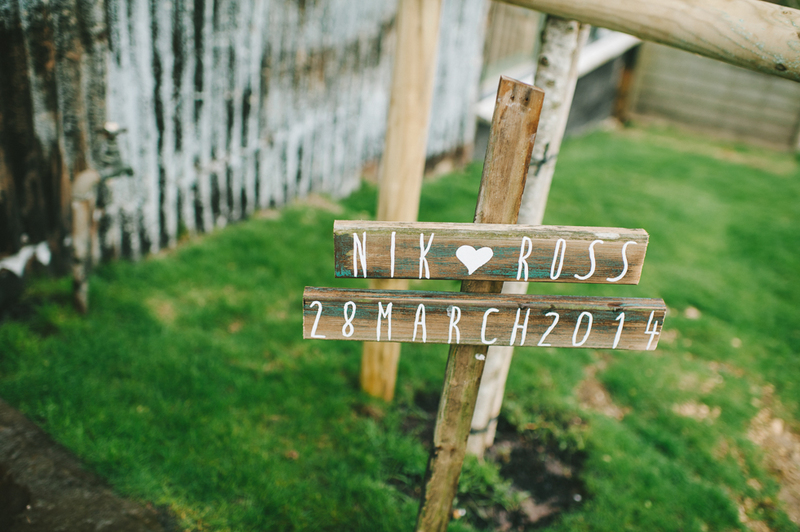 You see Nik and Ross have quite clearly poured all their hearts and emotion into the styling and planning of this big day and they’ve definitely pulled it off. 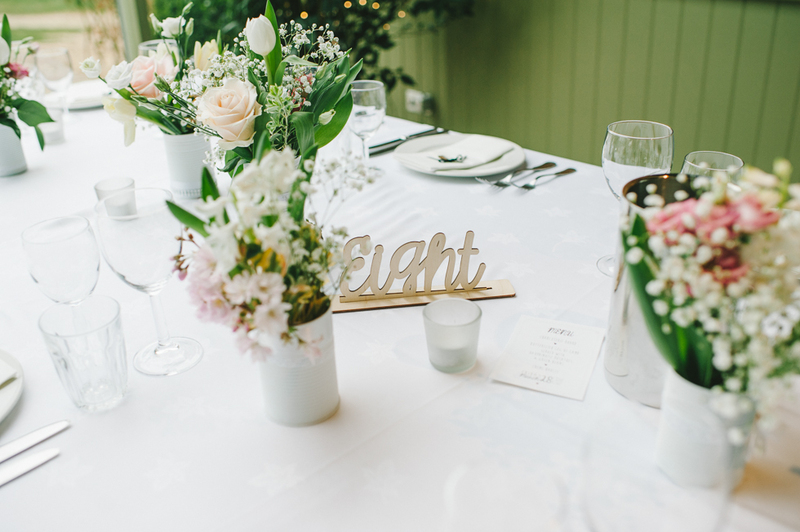 From the silver framed photos of loved parents and grandparents on their own wedding days, to the table numbers and wedding signage I’ve fallen more than a little bit for this delicious wedding. 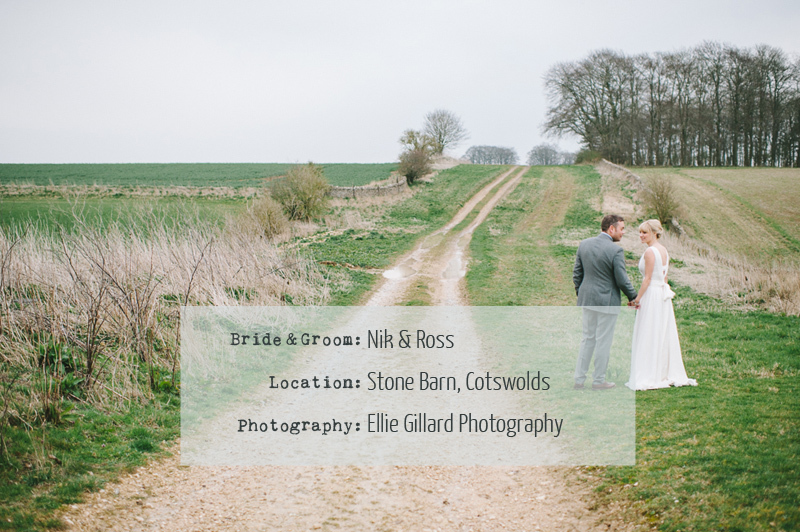 Image by Ellie Gillard Photography. 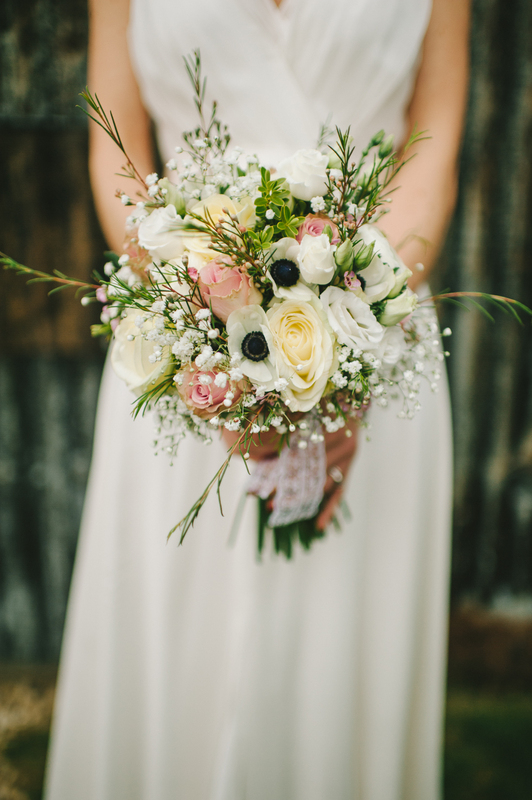 Nicola & Ross A Modern And Elegant Wedding At Stone Barn In The Cotswolds With A Grey And Navy Polka Dot Colour Theme And A Charlie Brear Dress With Gypsophila Balls By Ellie Gillard Photography. Nik The Bride:Ross and I have been to a lot of weddings and I mean a lot! 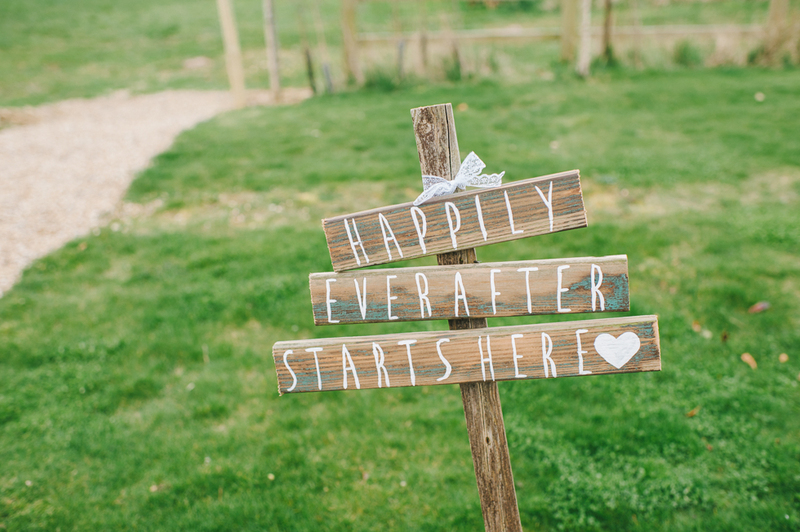 About fifteen to date over the past 5 ½ years so we knew finding an original venue in our home county was going to be tough! 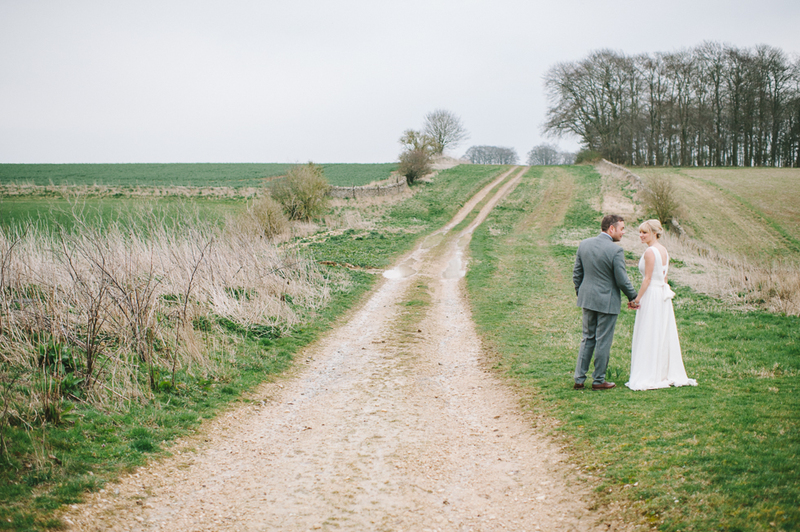 We decided to broaden the search, and fairly quickly Ross stumbled across Cripps Barns. 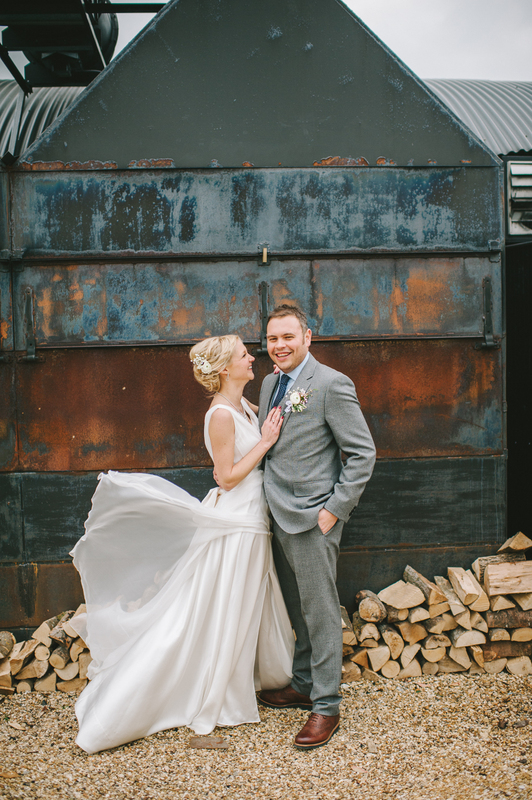 We viewed all three of the venues they have but the last one ticked all our boxes and more…. We knew from the moment we drove down the driveway that Stone Barn was the one for us. Ross’s sister is my hairdresser so it always an easy decision with regards to who would do my hair, I loved that she was honest about what she liked and didn’t like and together we created my look. What started off as sleek Hollywood glam changed to be a more relaxed up-do with flowers. 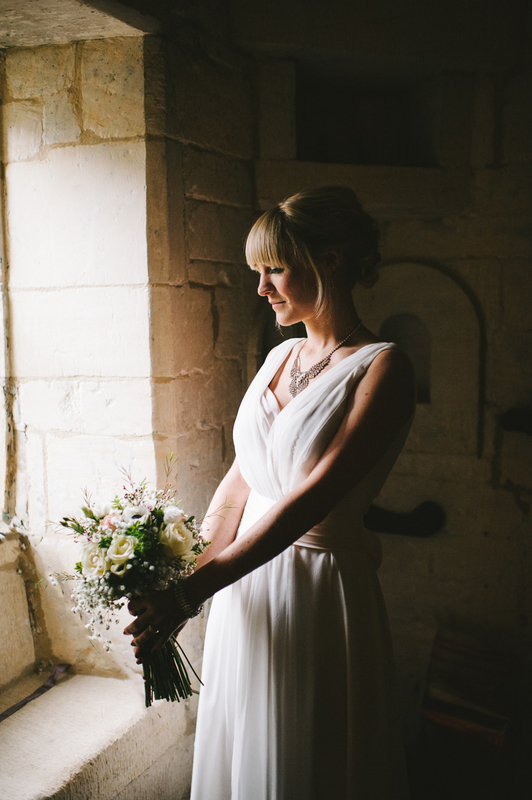 After some last minute dress changes we needed to make my look slightly softer and she did an amazing job. 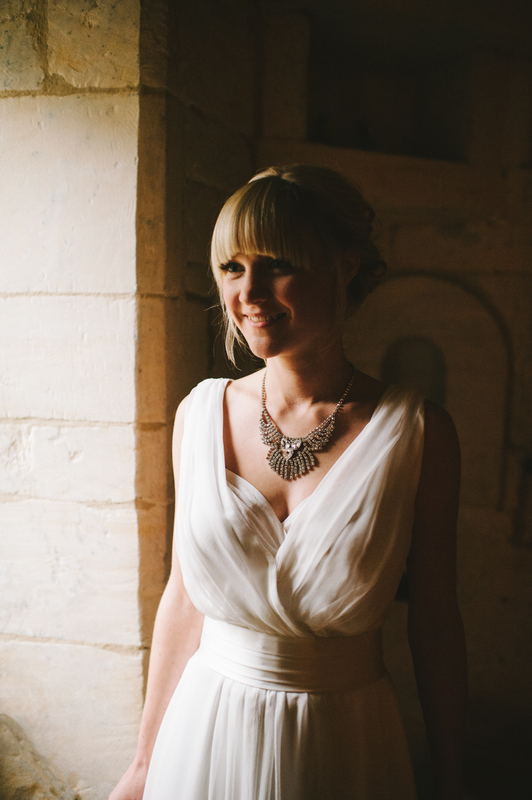 For my make-up, I found Emily Tarrant, a wonderful makeup artist based in Northleach – Emily used the most amazing products, the Laura Mercier tinted moisturiser and Bobby Brown lipstick in coral amongst my favourites. I decided against traditional nails and went bright red, I never wear soft colours and I wanted to feel like me so red seemed the obvious choice. In one week I visited five shops after work as the mission began to find a dress. If I am honest I had tried on so many by this point I was a little disheartened and had decided I probably wouldn’t be wearing the dress of my dreams on my wedding day. The last shop I went to with my Mum was Cicily Bridal in Ashby. I was limited with what I could try due to availability, but there was one my mum suggested that was different to anything else I had tried but had the simplicity that I wanted. I remember coming out of the fitting room with a really good feeling and then my Mum sheepishly said “I think that could be the one” and so I bought it there and then! The fantastic team at Cicily did all the amends and alterations to my Charlie Brear dress and I was thrilled with the results. I cannot thank the team enough for saving me in my hour of need; I did walk down the aisle in my dream dress after all. 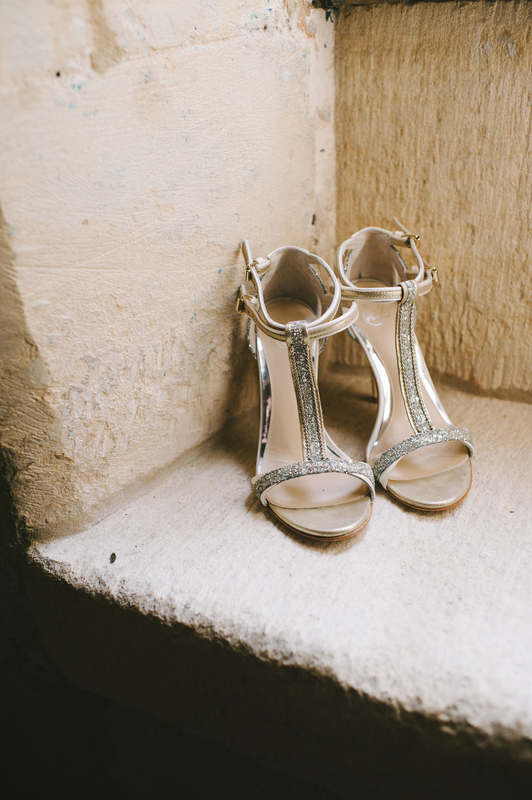 I love shoes and wanted to find something I could wear again but were still really special. After weeks of trawling the internet I came across Love Art Wear Art and fell in love with a pair of shoes called Carmen in Ivory. 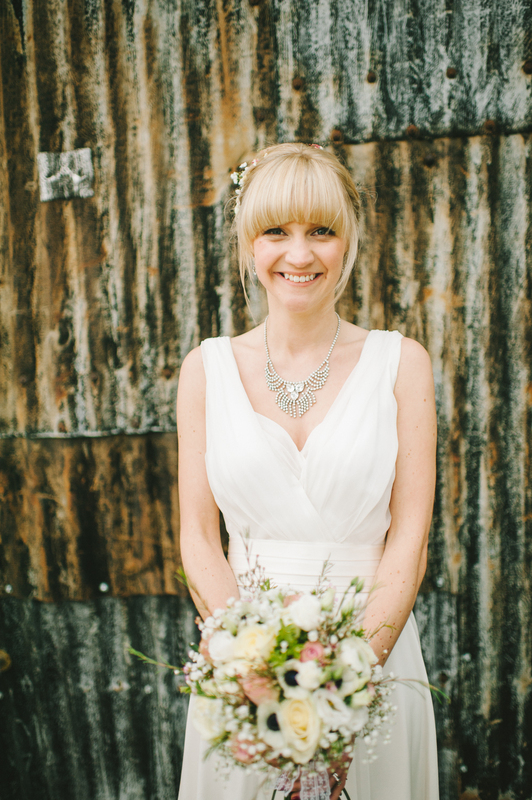 My earrings were my Grandma’s and had been passed onto my Mum – so were my something borrowed, and the bracelet was a christmas present that Ross and I picked together as he wanted to get me something to wear on the wedding day which was from him. My veil was a very last minute purchase from Cicily Bridal, luckily they had one in stock, as I knew my Mum was hoping I would wear one! I knew I wanted navy for the bridesmaids; the dresses were from French Connection and they were the first ones I ordered. The girls looked beautiful in them so we didn’t look any further. I then found the gorgeous Monsoon shrugs that the flower girls wore and the colour palette went from there. 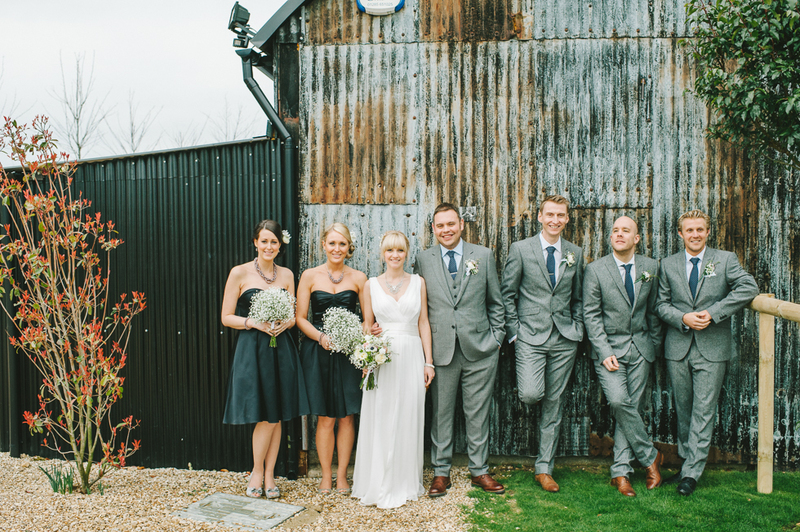 Ross wanted to wear a textured suit so he opted for a grey Reiss suit to complement the bridesmaid dresses and we finished the look with a hint of navy and white polka dots. 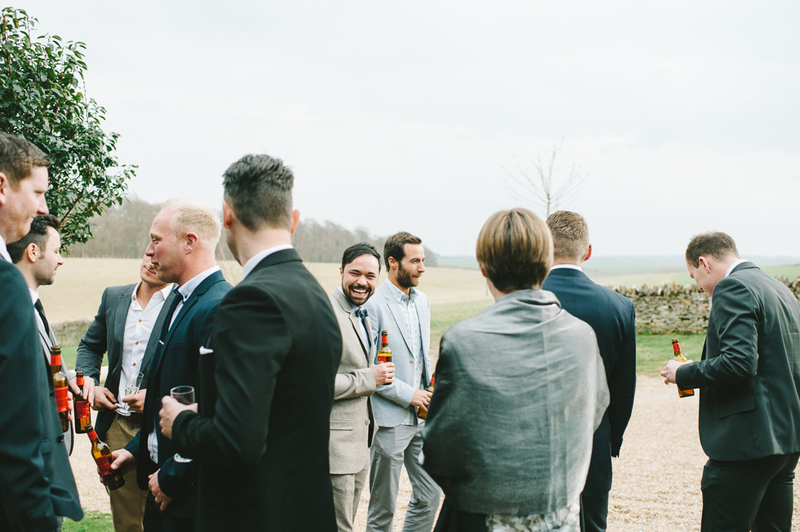 The ushers wore Next suits and ties with the younger ushers in Next shirts and M&S jackets and chinos. 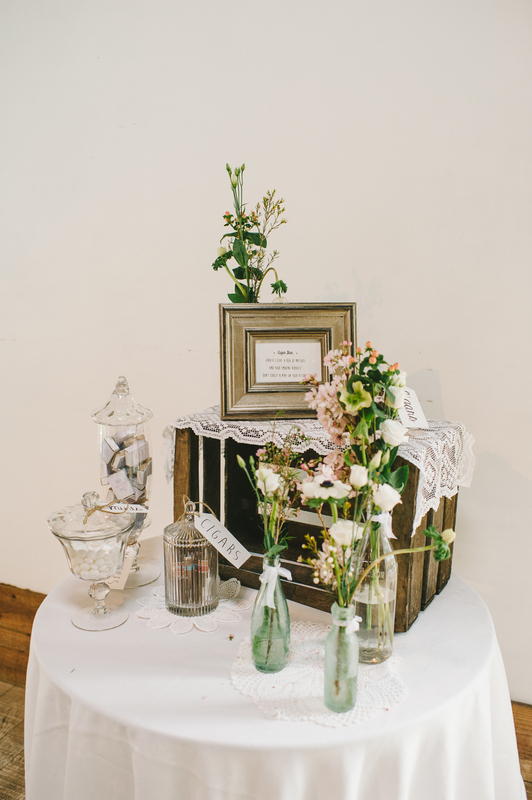 I didn’t really have a theme as the venue was quite a statement in itself; I picked things I love to add to the venue itself and went from there. 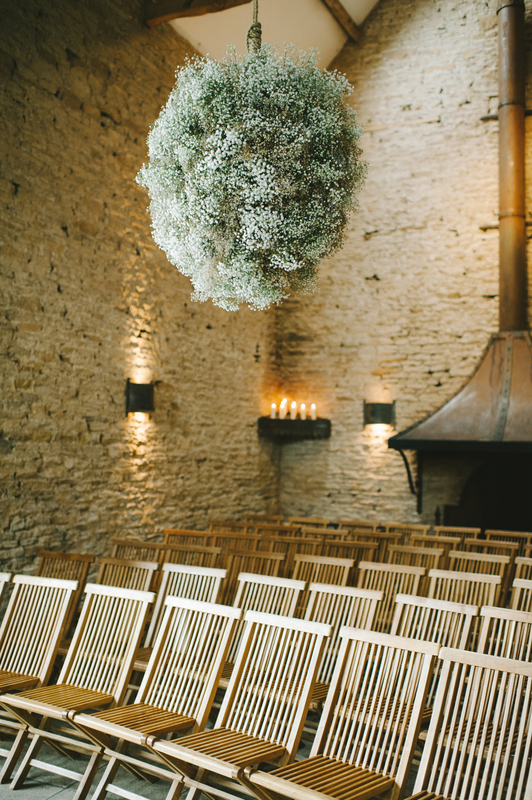 I saw some gypsophilia flower balls on Pinterest and decided that as stone barn had the facility to have a hanging flower ball this was going to be the starting point. 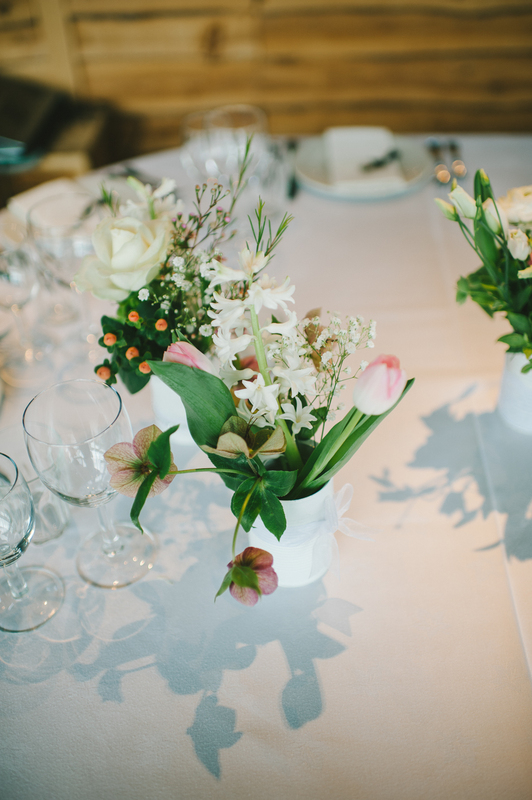 Initially the flowers were going to be all white and slightly wild looking – Beth Cox was our florist and she was incredible, she knew the venue so I knew I was in safe hands. We decided to add in a hint of pink which made the whole thing come to life. 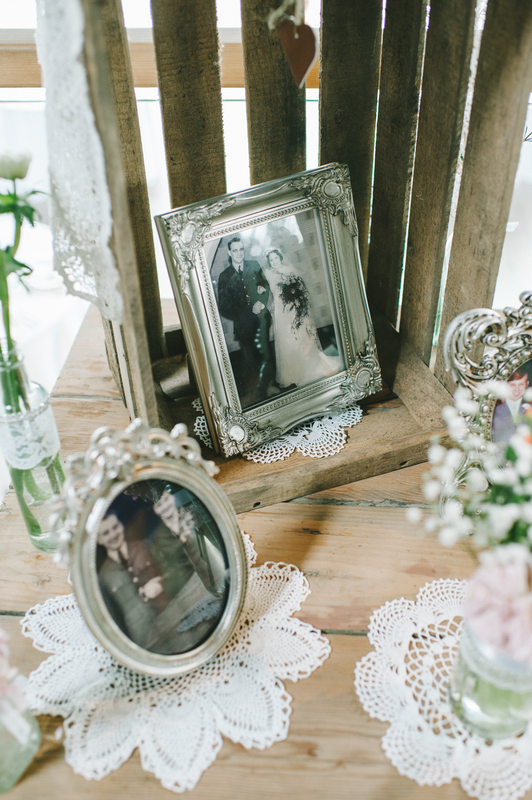 I had my whole family under orders to collect tin cans and jars for months which we sprayed white and I decorated with white lace and ribbon, I wanted to have lots of little vases rather than a big arrangement on the tables. We had absolutely loads of these all dotted around the venue including the loos! 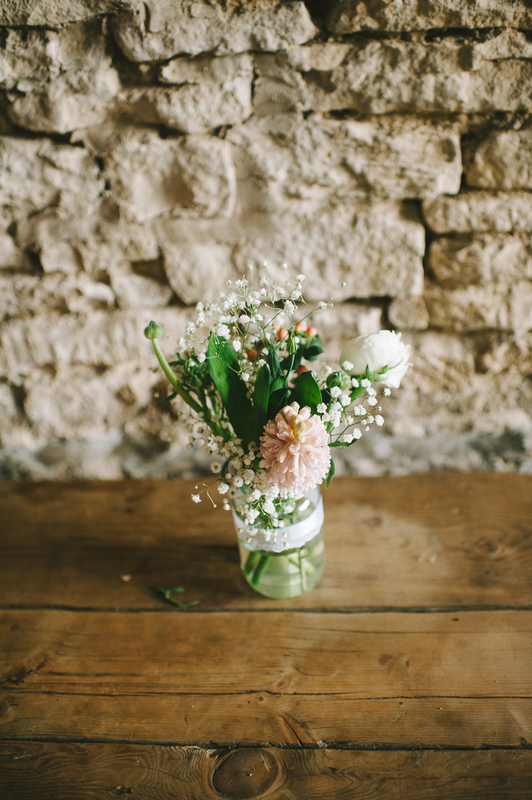 The bridesmaids had Gypsophila bouquets to match the flower balls and the flower girls had mini versions of my bouquet. 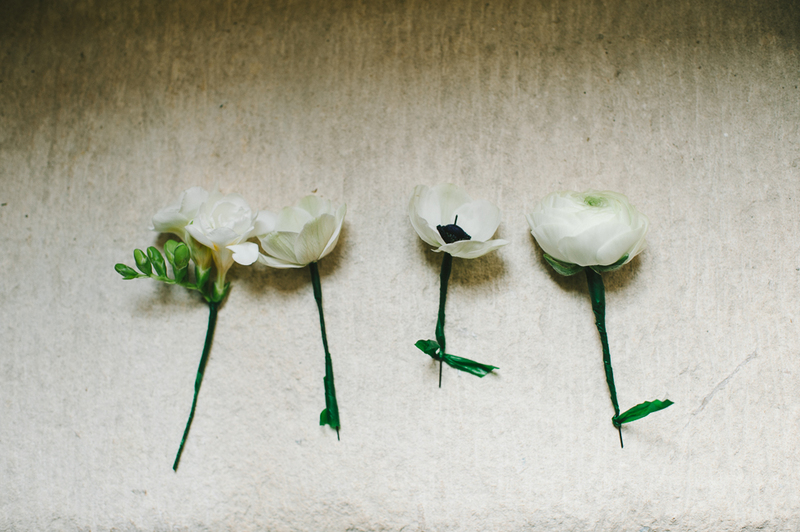 The button holes for the boys were all slightly different, using the flowers I had in my bouquet. 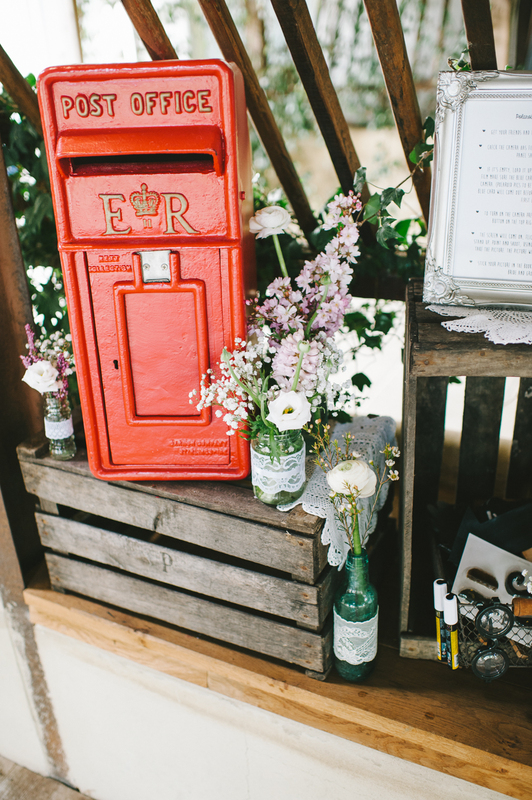 The venue itself was just beautiful so I didn’t want to make it too complicated – I hired a few crates and the post box and bought loads of vintage lace dollies and dotted them around to give it a pretty yet rustic feel to create an area for cards and the Polaroid camera we had been given as a gift to use at the wedding. 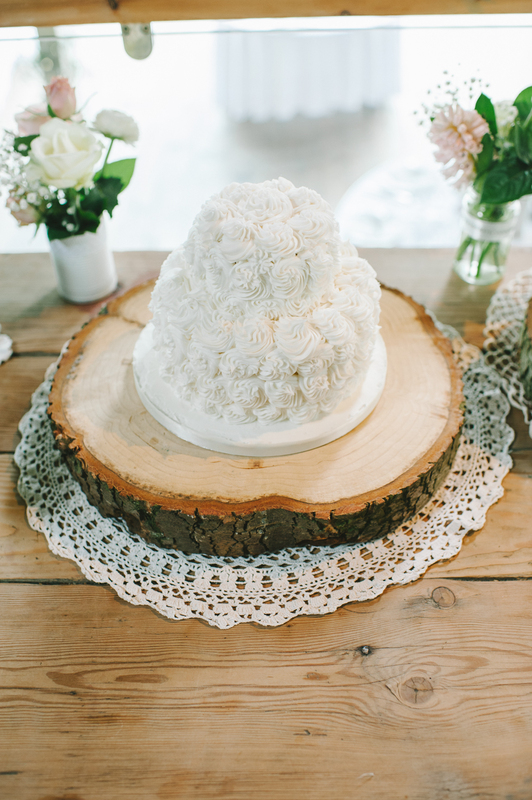 We had vintage glam photo frames with pictures of our parents and grandparents on the cake table and had huge wooden blocks for the cake stand. We also created a cigar bar with personalised match boxes, a selection of cigars and a big jar of mint imperials for afters! Ross loves to smoke a cigar at weddings so I thought it only right we should have a cigar bar for the boys at ours! One of the most special things at the venue was our personalised heart – lovingly made by one of our close friends who is a carpenter by trade. 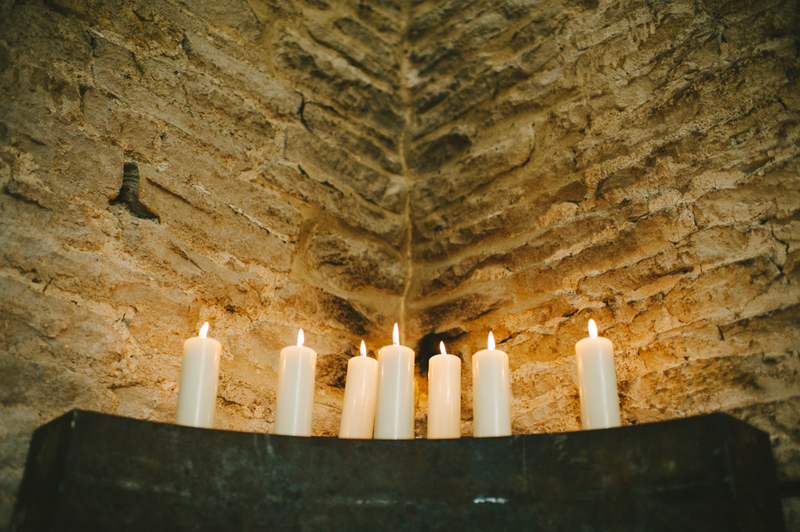 It was right in the entrance for everyone to see and looked great with all the tea lights lit around it. 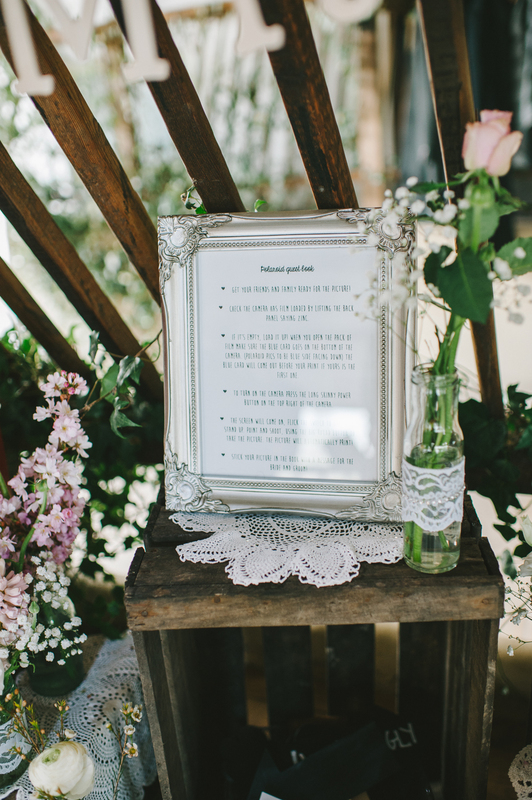 We chose a reading from Bespoke Verse – called ‘what is marriage’ which two of my best friends read out together, we also had a reading called ‘The One’ read by Ross’s eldest sister. 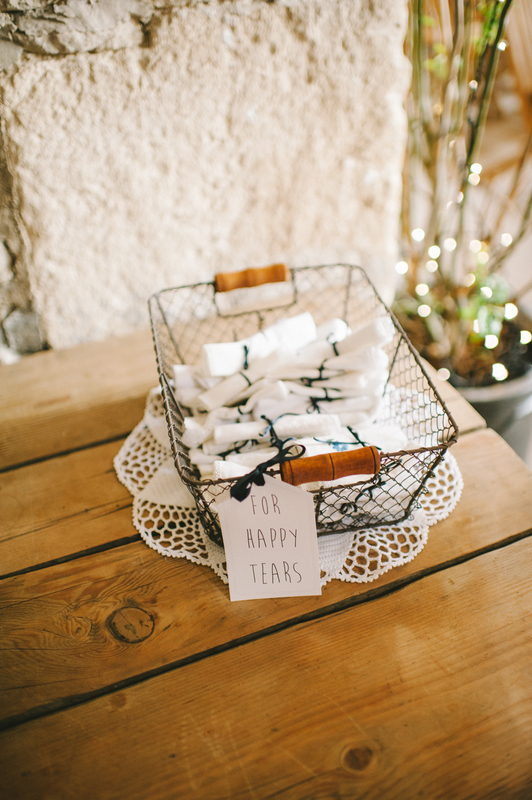 My mum and I sourced lace white hankies from eBay and Etsy on the run up to the wedding – we had a wire basket of these that the ushers gave out to all the ladies as they came in. I was a bit teary myself when I arrived and through the ceremony and really struggled to get my words out, Ross was great and kept me calm and had one of the hankies at the ready for me! I’m told I set everyone else off so they came in pretty handy! 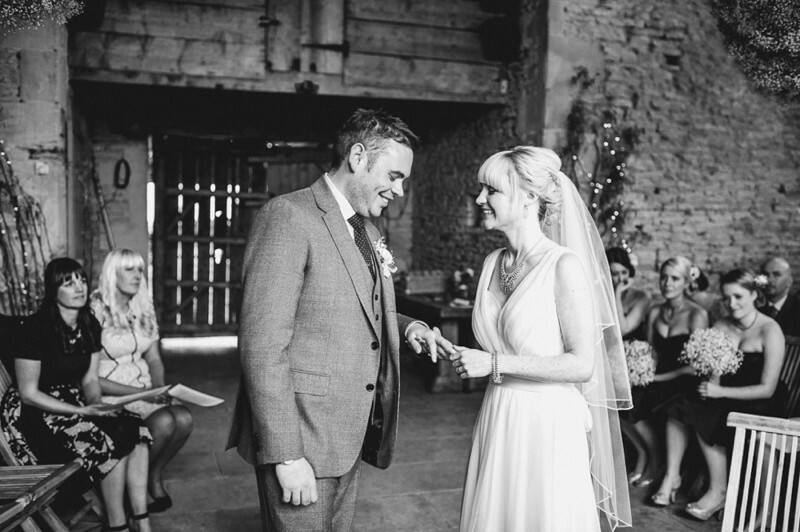 Music was a big part of the wedding and we asked two close friends early on if they would each play a set at the wedding which was fantastic – we chose the songs that we knew would get our friends dancing. We also booked a band called Vibetown who were great; they played a mix of Motown and party and were able to accommodate our special request for Masters at Work To Be In love which went down a storm! 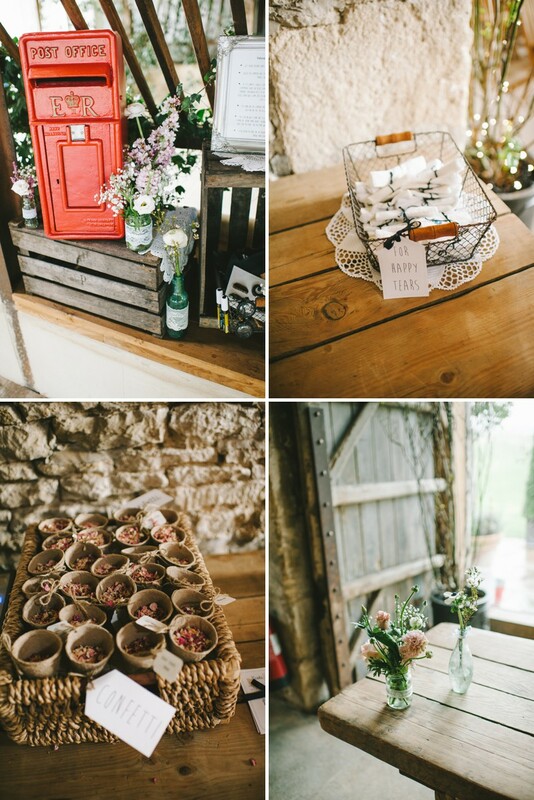 We adore food and this was one of the reasons we had loved Stone Barn so much from our initial research. 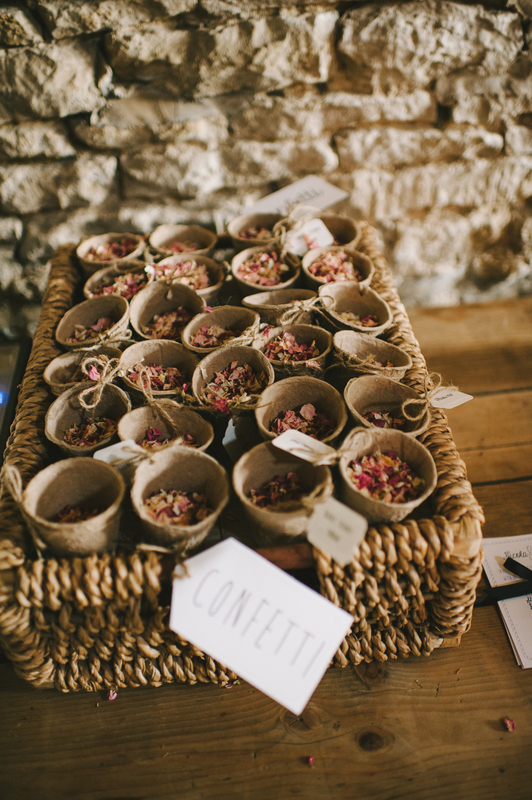 We had a great selection of canapés from battered fish to delicious brushettas after the ceremony, followed by a charcuterie board with baskets of bread and loads of salad. For the main there was roasted lamb with mint, dauphinoise potatoes and green beans followed by crème brulee if there was room! The starter and the main were all served on big platters to the tables which made the meal really relaxed and informal which was a lovely part of the day. 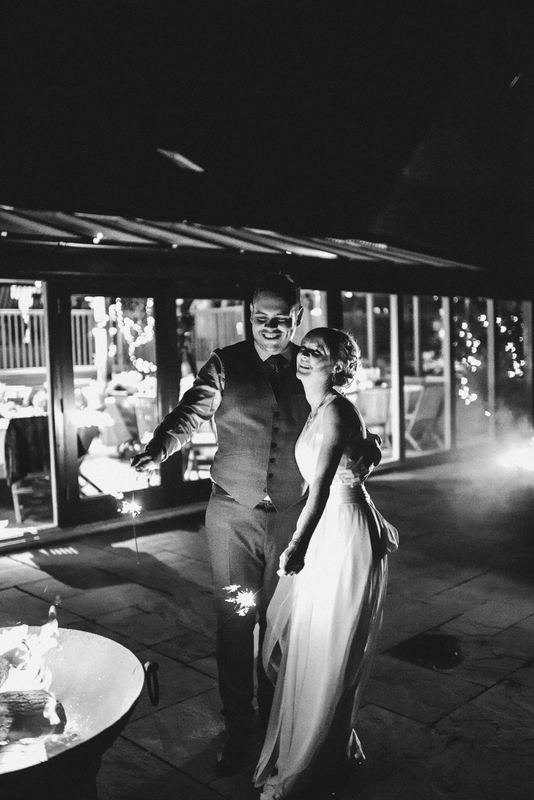 Rather than do favours on the tables – as we had fire pits on outside which we wanted to make full use of – we filled Kilner jars full with marshmallows for toasting with tins full of sparklers for after dinner entertainment. Our wedding cake was made by a friend of ours with her own baking company We wanted something simple yet effective that fitted in with the whole day. We had 3 different flavours of sponge (lemon was my favourite!) and it looked beautiful and tasted absolutely delicious! The stationery was lovingly designed by one of my colleagues at work who is a fantastic designer. She would come round to mine after work and following a few glasses of wine and chatting about my ideas she created the invites. 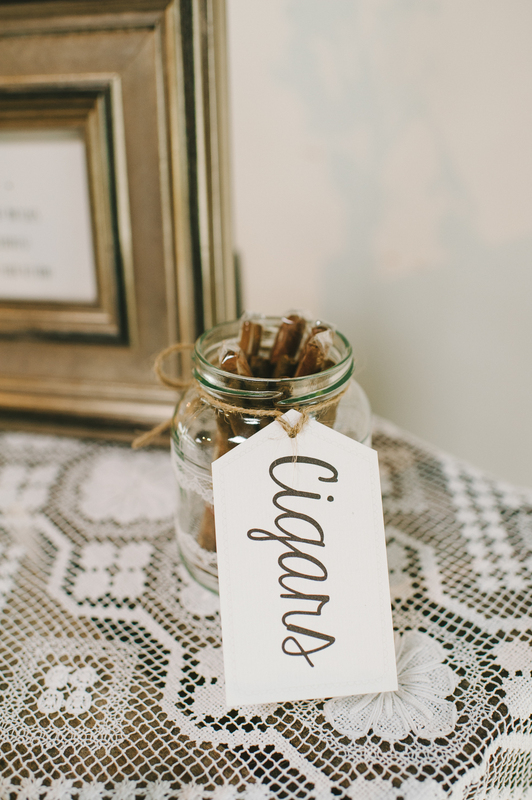 She did such an amazing job I asked her to help me create tags for the cigar bar, and table plan. The one thing we kept consistent throughout was the fonts from the invites which were then used to help tie in all the little details without everything being really matching. 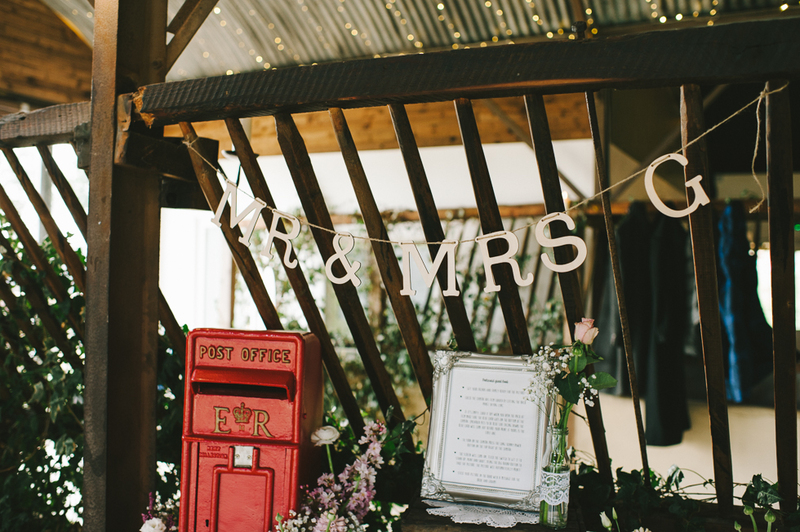 The table plan itself was an old fence panel of my Dad’s that I scrubbed and sanded to get looking slightly less old! 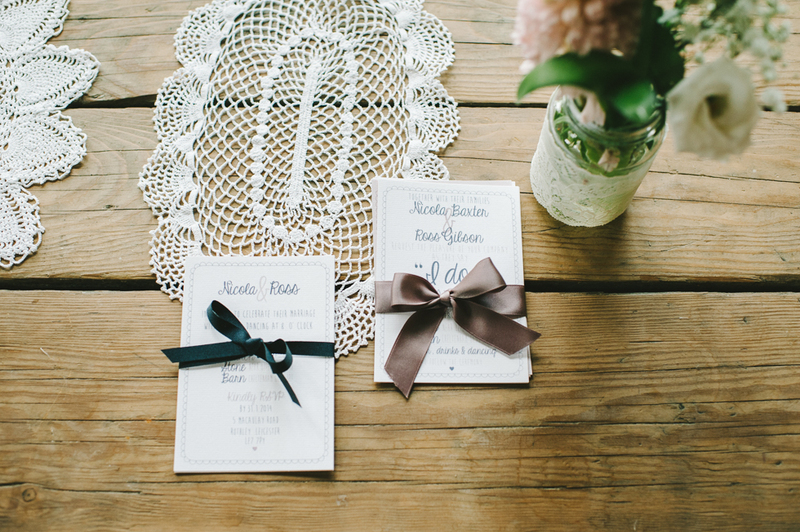 I then tied the tags onto it with ribbon and lace to create the seating plan. 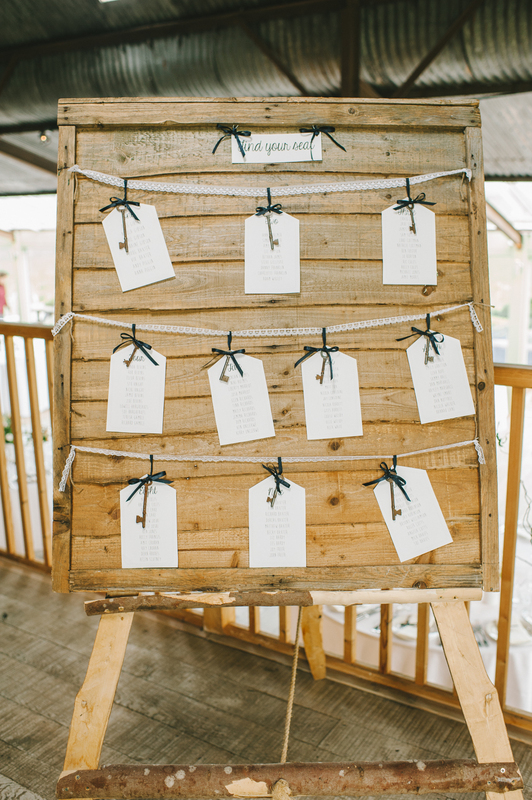 For the name places I bought vintage keys from Ebay and attached the name place tags to them with navy ribbon to tie back with the rustic charm of the venue. Something will more than likely not go exactly to plan but it won’t matter… no one else will know and you won’t be worried about it on the day. Having your nearest and dearest in one place and marrying the one you love is incredible. Enjoy every minute!! 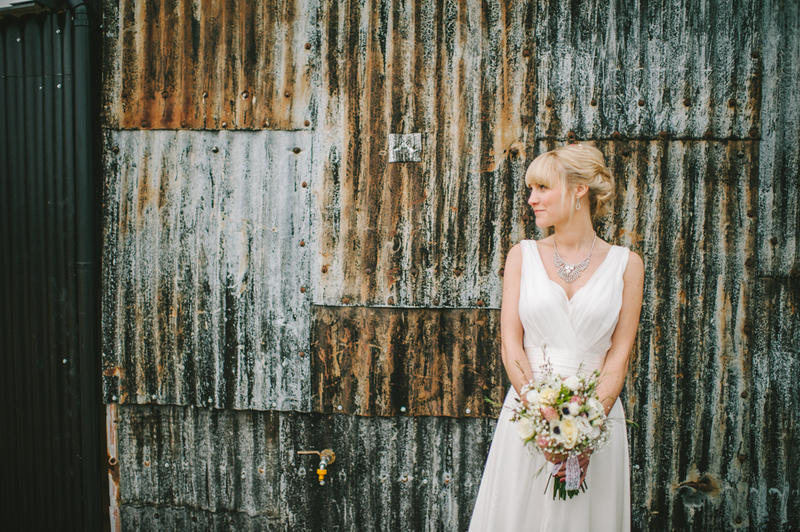 I have saved the best for last with Ellie our photographer; she was fantastic. Ross is quite camera shy and we organised the pre-wedding shoot to warm us both up ready for the big day (which I would highly recommend) and she put us both at ease immediately. On the big day the fact that we knew Ellie already really helped and we were confident she would capture the best of the big day. 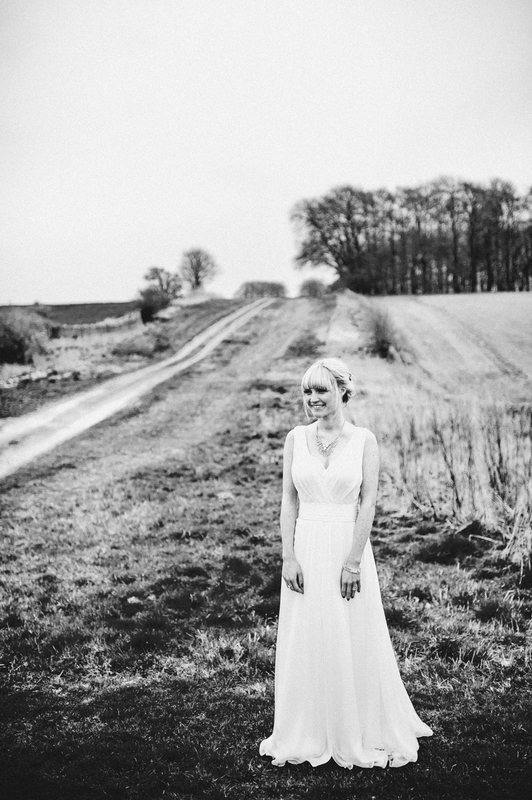 After the wedding I remember feeling that I hadn’t really seen that much of Ellie apart from when we had our group and couple shots, this was because she was busy working her magic! 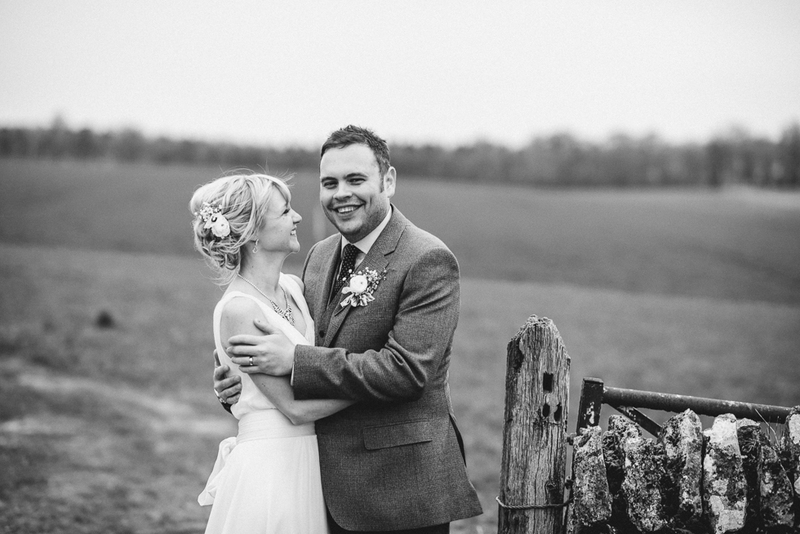 For us we loved the relaxed and informal look of our photos and we can’t thank Ellie enough – her photos have captured our day perfectly. 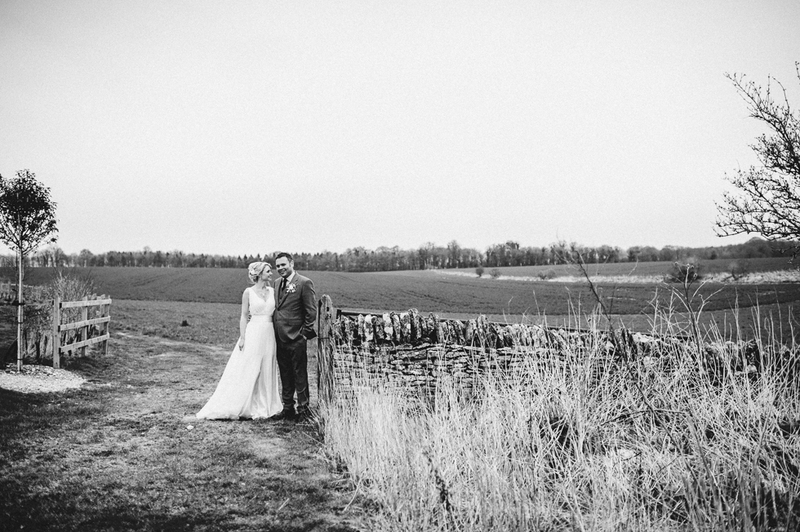 Venue Cripps Stone Barn | Dress Charlie Brear | Boutique Cicily Bridal |Shoes Love Art Wear Art | Groom’s outfit Reiss | Hair Syston Hair Studio | Make up Emily Tarrant | Band Vibetown | Florist Go Wild Flowers | Wedding Decor Truly Scrumptious Weddings | Bridesmaid dresses French Connection. 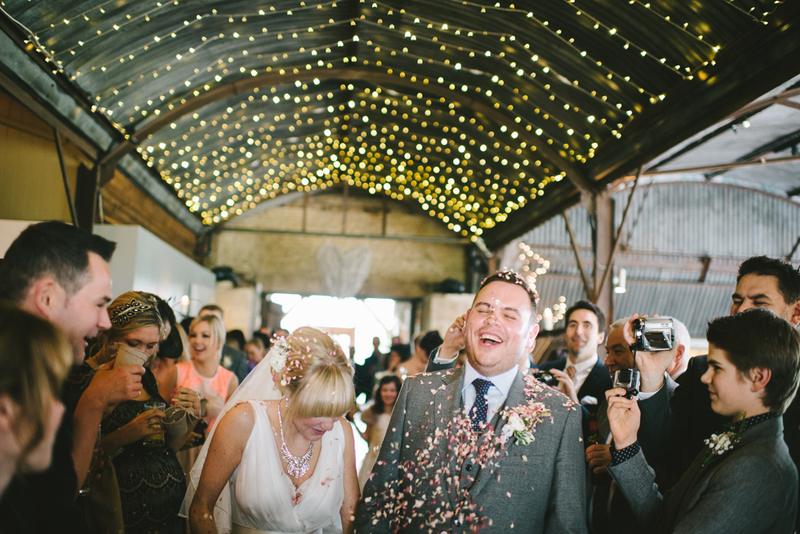 Oh my I love the ceremony ceiling (every ceiling should have a fairy light wall) and fabulous photography as always Ellie! 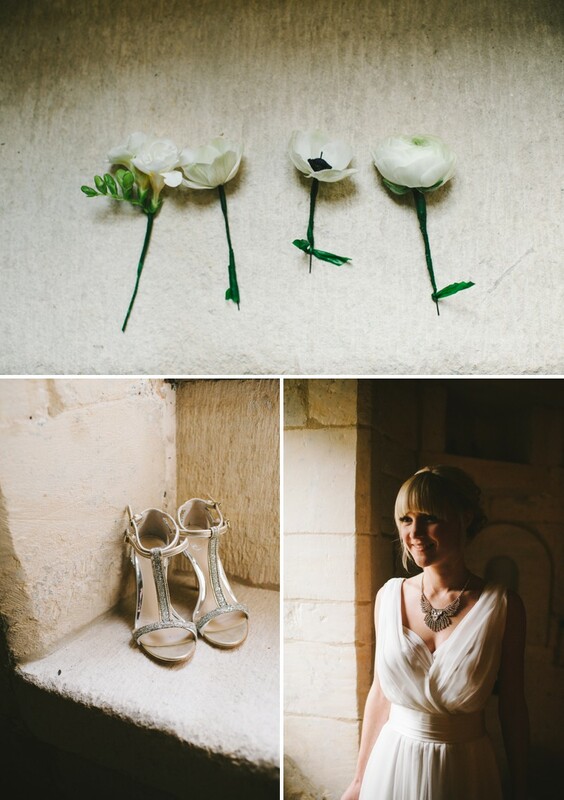 Beautiful photography for a beautiful wedding!